/ Is Your New At Home Career A Scam? All The Red Flags, Exposed! Quick Summary: Your New At Home Career is an online course that will help you earn $500. On their sales page, it claims that the eBook provided will teach users how to create a shopping platform, choose a highly lucrative niche, and a lot more to make a huge amount of cash. But how true are these claims? Is Your New At Home Career a scam? That we will all find out in a bit. The first time I made money online, it felt surreal. It wasn’t a huge amount but it’s a relief knowing that it’s possible to earn cash without leaving my comfort zone. However, it wasn’t all rainbows and butterflies. I’ve been scammed a lot of times so I make it a habit to check a handful of reviews before joining any program. So when I received an email about Your New At Home Career, I quickly browsed its website and it felt like something’s wrong about it. However, I just can’t jump into conclusion without knowing more about it because who knows? If you’re someone like me who’s always skeptical about a lot of things (I understand, trust me! ), then you’re in the right place. This Your New At Home Career review has all the things you need to know about this platform. So sit back, relax, and keep reading. What Is Your New Career At Home About? Your New At Home Career is an eBook that claims to help you a huge amount, $500 to be exact, in just a single day. It uses dropshipping as its business model and although this opportunity is legal and profitable, this website comes with a lot of red flags, which I’ll discuss more in a bit. How Your New At Home Career Works? FIRST is choosing your niche. You will find quality products you can sell in your online shop. SECOND is to create your actual online store. In this step, you will build your own ECommerce store using Shopify. THIRD is shipping the item. Once a purchase is made and you have collected the money, you will pay the third-party supplier the agreed amount and they will ship the items on your behalf. It’s actually easy since all you need to invest is time and effort creating traffic to your website in order to make a sale. And of course, you have to spend money too should you be interested to learn this course, which I highly doubt after find out the red flags, too. But before going there, I know some of you have this question in mind: is dropshipping and affiliate marketing the same thing? For the benefit of the doubt, dropshipping is an online opportunity that allows a business to sell products without actually buying it. It works like this: you create your own online store, post items and once a sale is made, you pass the order to a third party provider who will then ship the products to the customer. Some people are confused about dropshipping and affiliate marketing, which, by the way, are both legitimate online opportunities. However, there are huge differences between the two. With dropshipping, you create an online store, decide your own price for the product and pay the third-party provider the agreed wholesale amount of the item. This means that you have total control of the price of the items you are selling in your own online shop. Affiliate marketing, on the other hand, will help you earn through commissions. You will also create a website, join an affiliate marketing program, and instead of placing the actual items on your page, you will create content, insert your own affiliate links and once a customer purchased an item using your unique links, you will earn a commission. You have no control over the price rather, you will only receive a certain percentage for selling an item. I cannot directly tell that Your New At Home Career is a scam because first of all, you will get a product, an eBook to be exact. And, in case you are not satisfied, you can get a refund. However, if you perceive scam as something that’s misleading, then you might have another conclusion. After all, you won’t really get anything out of this online course. You’re not going to make $500 a day simply because Your New At Home Career provides nothing but false claims. In addition, the website itself is enough to tell you that it’s up to no good. Who, in the right mind, will trust a page that has nothing on it anyway? No information about the owner or the company, no maximum security on the website provided (I’ll prove this in a while), not even real testimonials. Before, Your New At Home Career has provided a sales video but now, I don’t know but for some reasons, it’s not there anymore. Anyway, I’ve mentioned about “maximum security” on a website above. Just a friendly reminder to everyone, before paying or sharing confidential details such as personal and/or financial information, make sure that you are visiting a secured website. This will help you get rid of malicious pages that are trying to steal these confidential details. Lock Icon. This is located on the upper left part of the page, in the address bar to be exact. It’s called a site identity button which is presented as a green padlock, although in some cases it can be a broken padlock with a red strikethrough or a gray padlock with a yellow warning triangle sign. HTTPS. Instead of the usual “HTTP” before a URL, it would be HTTPS. The letter “S”, which stands for “secure”, means that the browser is encrypted. If you’re still interested and you want to know how much Your New At Home Career cost, well, it’s sold for $47, although on their sales page, it seems like it’s been discounted from $197. However, expect that you’ll be paying for a lot of upsells. I don’t like anything about this program so I’ll be discussing the disadvantages and red flags instead. Greg Thomas, which is supposedly the name of the owner, has shared nothing about him. No contact details. No social media accounts. Nothing. I even think that it’s just a pen name to hide his identity because who would want to reveal who they really are when they are selling nothing but extremely low-quality products. 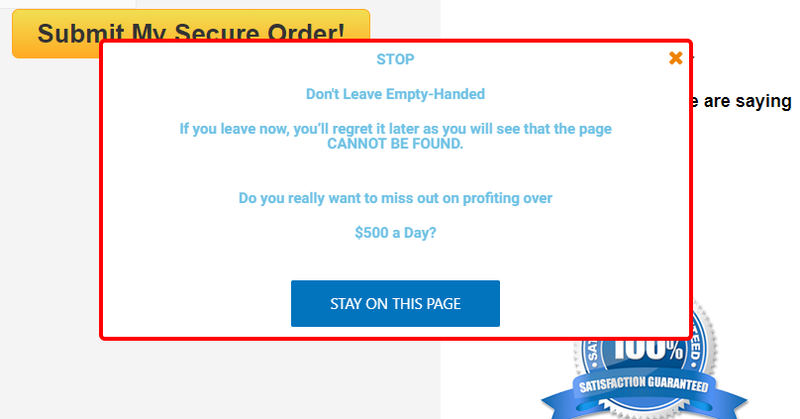 If you try to leave the website, you will see a popup message claiming that the PAGE CANNOT BE FOUND LATER ON. First of all, if you’re a legit company, why would you close your site when you know that you’re earning from it. For sure, this is just a way to lure unknowing visitors. Also, it says that about earning $500 a day. Believe me when I say that earning from this program is next to impossible. When you read other Your New At Home Career reviews, you’ll see how this website has used paid actors to share fake testimonials about their product but since that sales video has been taken down, probably because it’s nothing but fake, I can’t provide my own photos of these paid actors from Fiverr. What I can provide is this: the useless “Look what other people are saying” part. You can’t click it therefore, you can’t see any testimonials out of it. Perhaps, they’ve removed this part because they know that people are smarter these days and they can’t just be fooled anymore. 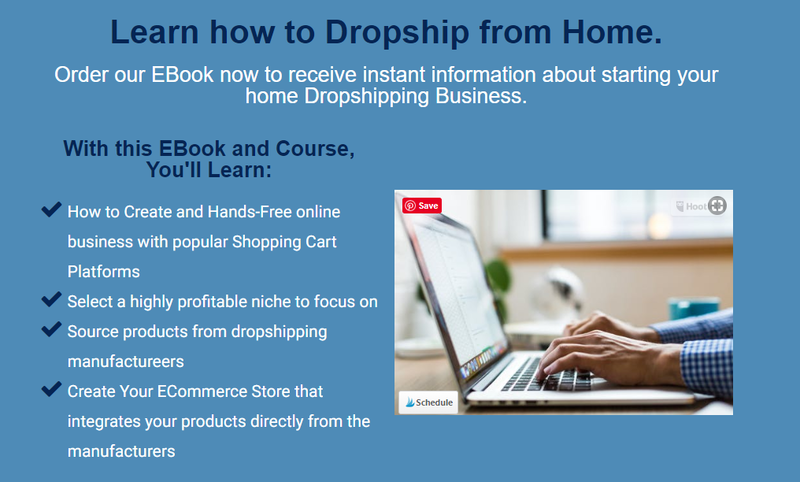 Dropshipping, again, is legitimate and you can make real money out of it so if you want to learn how it works, it’s best to rely on the free training materials found online instead of paying for this low-quality program. You can raise concerns and questions and get answers from real people who are doing affiliate marketing. You’ll see real feedback because the community is made up of marketers who are using the program personally. You can also share your feedback, learning, and other things related to this platform. Stay away from this course -- that’s all I can say. It has a lot of red flags and the fact that you’ll know absolutely nothing about this company or the owner is enough. So get your credit card back in your wallet and look for a better opportunity, like my top recommended program. Not to be exaggerated but you’re missing a lot of things when you don’t join now. Don’t worry, it’s never too late. This website won’t close anytime anyway. If you have any questions or comments, please feel free to drop it down below.